There are some procedure for swimming pool care that should not be conducted without professional handling the task and acid wash is one of them. It’s a last resort cleaning procedure that requires your pool to be completely drained of water to get rid of tough stains from algae and hard water that make your pool an unsightly place to swim. If no one wants to swim in your pool it’s hardly an attractive home feature and calling in a professional is a wise strategy to rectify the situation. East Valley Pool Master has years of experience and professional knowledge for using acid wash to clean swimming pools. Our team is highly trained to provide this maintenance service. This type of pool cleaning is not needed any more than one time every five years and you may be able to extended to six or seven if you are routinely cleaning your swimming pool. 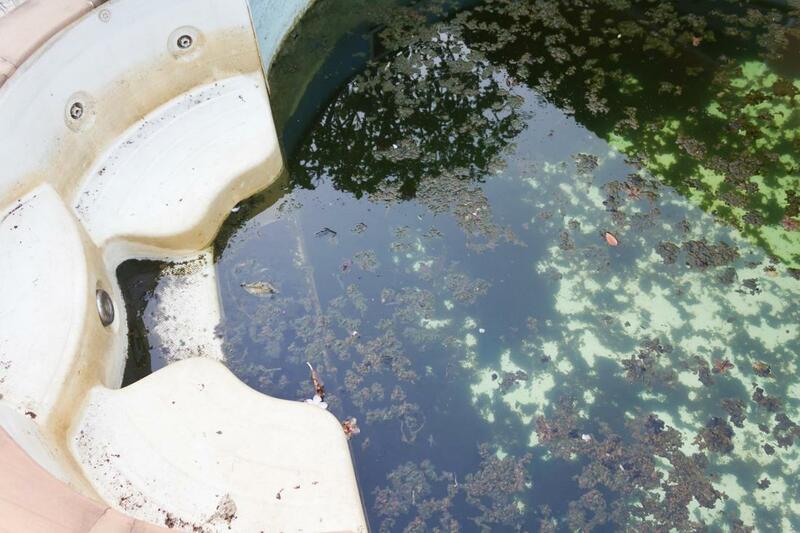 This is because acid washing is an extreme clean pool procedure and too using the procedure too many times can damage the integrity of your pool, causing extensive stripping damage to the interior which leads to more expensive repairs. East Valley Pool Master conducts an evaluation of swimming pools to help you determine if your pool truly needs an acid wash or if stepping up your cleaning regime can solve some of the tough problems your pool is facing. As you can imagine, working with acid need protective measures and we are an insured and bonded service provider that takes every precaution to ensure that our acid wash is a safe procedure that will not harm anyone in your household. Acid washing is a lengthy procedure that requires draining your swimming pool so our specialists take great caution to ensure that your property is not damaged from the hundreds of gallons or water that needs to be removed before acid washing is started. This requires extensive planning on our part as well as deep experience for understanding the capacity of your surrounding area to handle the load of water drained. Because acid wash is not a procedure that needs to happen often, you want to be sure that you are selecting a time that is most beneficial to protect the integrity of your pool. It’s critical because there may be other less time consuming and less invasive procedures that will provide you with a clean pool again so that you can wait to use this procedure further down the line. When you call our pool specialists, we send them out to evaluate your pool conditions and provide you with a precise treatment and plan of action for the procedure so that you are well prepared for the techniques to come. As professionals, we are well trained to perform this procedure and we take great care to make sure our clients are well informed. Acid washing is a once every few years type of procedure that require experienced providers to execute. It is not a do-it-yourself treatment though you may see videos posted online. It’s a procedure better left to persons with experience to ensure safety. Our technicians provide clients with a safe and hazard free pool environment and after an acid wash you can be sure that your pool will be fully restored.